In the heart of the countryside, between Caen and Bayeux, simply marvel in the splendid formal garden at the Château de Brécy. The gardens of the Château de Brécy date from the mid 17th century. Here, perspective is the belle of the ball. The 4 increasingly wide terraces offer the garden a unique and special pattern. 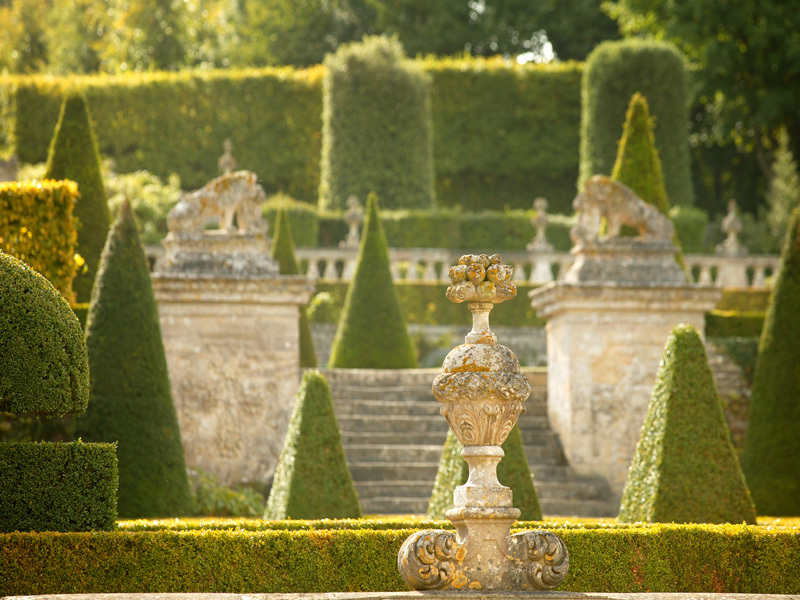 Sculpted decorative features include: statues, balustrades, vases... which elegantly combine with the pruned topiaries. Medieval notes, Renaissance additions... the ensemble offered at Saint Gabriel Brécy is also a preview to the vast compositions that comprised classical French formal gardens. This unique garden in Normandy is one of France's rare remaining examples from this period. Both the gardens and the Château de Brécy are listed historic monuments.